Or as low as $74.16 per month over 12 months. Apply Now. 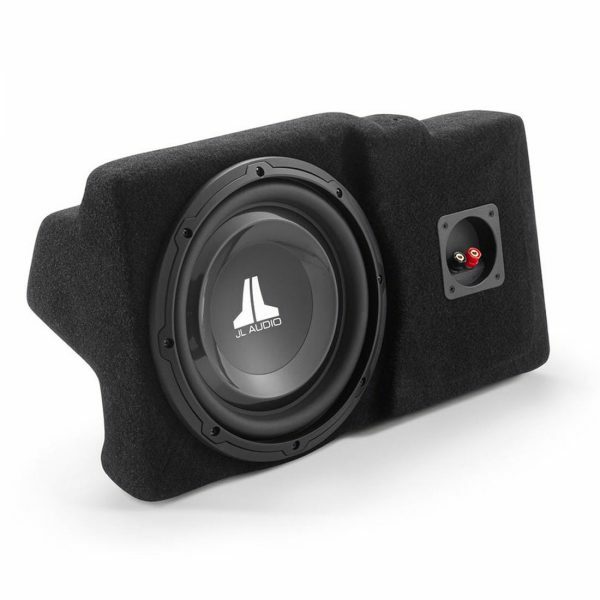 JL Audio SB-GM-HUMRH3/10W1v3 Stealthbox® houses a JL Audio 10-inch subwoofer in a compact sealed enclosure that installs inside the H3’s driver side hatch trim panel. You can still carry all the gear you want and no one will know it’s in there (until you let them listen to your system). The compact H3 has been a huge success thanks to its combination of style, utility and substance. Our Stealthbox® for the H3 achieves the same goals by seamlessly integrating into the H3’s hatch without sacrificing any cargo space. The only thing you lose is the weak factory bass. The Hard Data: Contains one 10W1v3-2 subwoofer in a sealed enclosure. 300 watt power handling. Wired for 2 ohm mono. Installs invisibly behind driver side cargo trim panel.